For Special Olympics, friends/neighbours have volunteered before and I was very interested so signed up on a whim one rainy day in February. 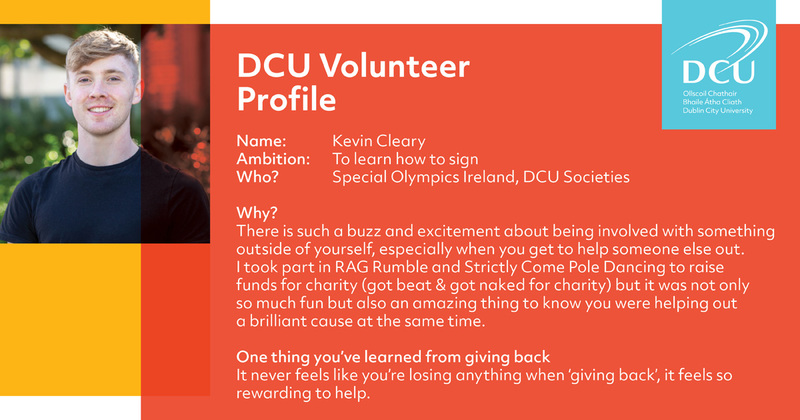 With the societies, my involvement began as I was interested in drama but escalated as I made friends and wanted to get more involved in DCU society life. 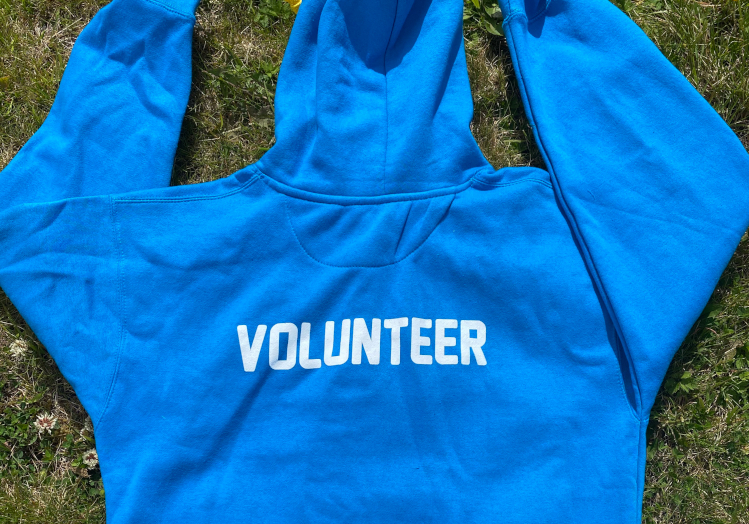 There is such a buzz and excitement about being involved with something outside of yourself, especially when you get to help someone else out. I took part in RAG Rumble and Strictly Come Pole Dancing to raise funds for charity (got bate & got naked for charity) but it was not only so much fun but also an amazing thing to know you were helping out a brilliant cause at the same time. During Special Olympics, the absolute craic you have feeding off the buzz of the athletes, seeing them all enjoying themselves and having a right laugh. Keeping that one a deep, dark secret..